A clash of touch and chic. 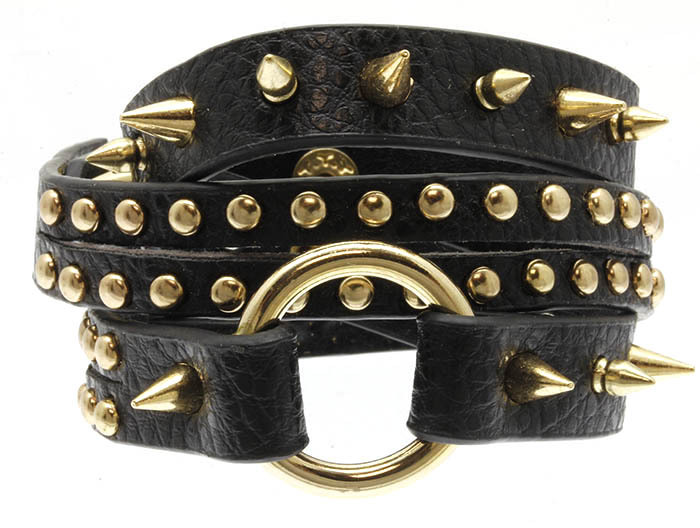 The Kiersten is a wrap-around bracelet in black leather embellished with gold spikes and studs. Designed for mixing and matching.